This one-day continuing education event will include discussions on AAEP vaccine guidelines, risk-based protocols and products, currently recommended parasite control programs, and challenges of parasitic disease in horses. Dr. Beth Davis earned her DVM degree from the University of Florida. At Kansas State University’s College of Veterinary Medicine (CVM), she completed a rotating internship in equine medicine and surgery, followed by a combined equine internal medicine residency and PhD program. 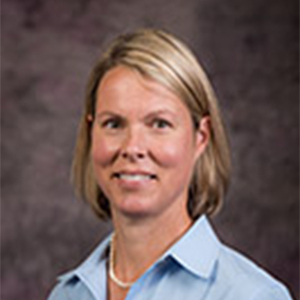 Dr. Davis joined the faculty at K-State CVM in 2003 as an assistant professor in equine internal medicine. Currently, she serves as a professor of equine medicine and Department Head of Clinical Sciences. She continues to teach in the field of equine medicine and contributes to the research mission through collaborative research in the areas of infectious disease, pharmacology and equine immunology. November 13 / 9 a.m.-4:30 p.m.
Immunology Refresher: Immune System, What, When and Where? This session will include a background on components of the equine immune system and implications on vaccination effectiveness. Discussion will include vaccine development and application in the equine host. Clinical cases that demonstrate the impact of immune function or compromise on vaccine effectiveness will be included. This discussion will include AAEP vaccine guidelines involving core vaccine protocols. The impact of these recommendations and need for veterinary oversight for regulatory disease will be discussed. Risk-Based Vaccines: What, When and Why? Risk-based protocols and products will be discussed. The application and impact of improper protocols will be discussed with a case-based approach. Vaccine Challenges with Streptococcus Equi Subsp. Equi Disease and Vaccination: When Is It Safe to Vaccinate? Strep. equi will be discussed as a disease, the impact on the individual and herd will be discussed. The impact of biosecurity, vaccine protocols and herd health will be discussed. Case examples will be explored regarding vaccine effectiveness and complications. An overview of currently recommended parasite control programs will be discussed. The impact of anthelmintic resistance and alternative parasite control strategies will be discussed. Case-based discussion will include altered immunity and ineffective parasite control programs.